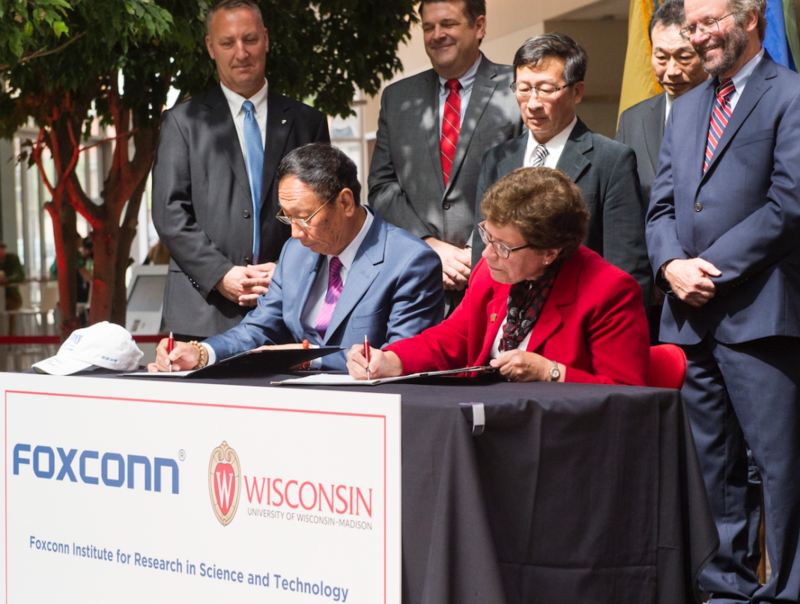 Foxconn and its chairman and founder Terry Gou have announced plans to invest $100 million in engineering and innovation research at the University of Wisconsin–Madison. The Foxconn investment will include funding to help establish a new interdisciplinary research facility for the College of Engineering on the UW–Madison campus. The Foxconn Institute for Research in Science and Technology (FIRST) will have its main location at the Wisconn Valley Science & Technology Park near Racine, and will also have an off-campus presence in Madison. “At Foxconn, we see our role as not only being a major investor in Wisconsin, but also a long-term partner to the local community. This includes promoting a vibrant environment that nurtures and enables Wisconsin’s talented workforce, allowing them to tap the immense opportunities that Wisconn Valley has to offer,” said Mr. Gou. With Foxconn’s lead gift of $100 million, UW–Madison plans to raise an additional $100 million as part of a $200 million fundraising sub-campaign in the final two years of the $3.2 billion All Ways Forward campaign. The initiative will focus on supporting research that advances engineering, data and computer science and human health, the university said in a statement.